We consume more water, air, flora and wildlife than the ecosystem is able to regenerate. In 2016 the Earth Overshoot Day, which marks the date on which mankind consumes its budget of natural resources for the entire year, fell on August 8, according to data from the Global Footprint Network. The consequences are disastrous and there for all to see: climate changes, deforestation, hydrogeological instability, biodiversity loss. How? Through tangible actions encouraging collective lifestyle changes. In order to turn the tide, before it’s too late. 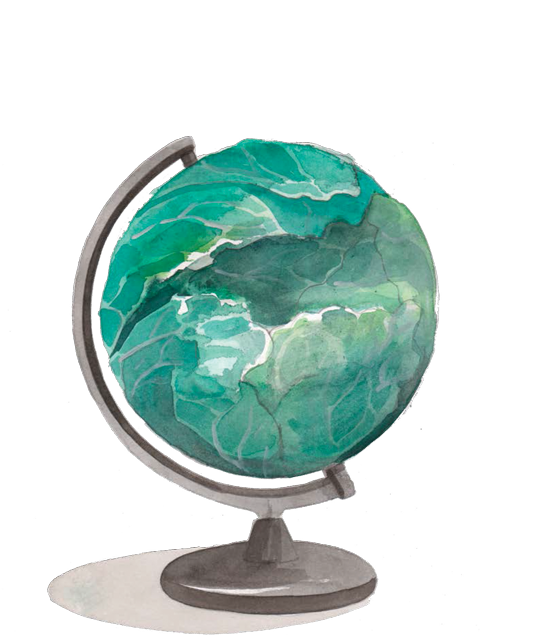 The universal language of the arts can revitalize environmental issues, engage people and enhance awareness. Breath will plant trees to fight deforestation. It will modify the environment and improve air quality by keeping the climate under control, reducing the risk of hydrogeological instability. 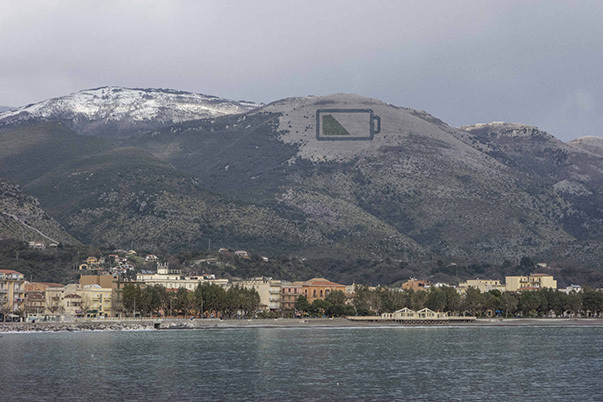 Mount Olivella is a 1,025 mt. 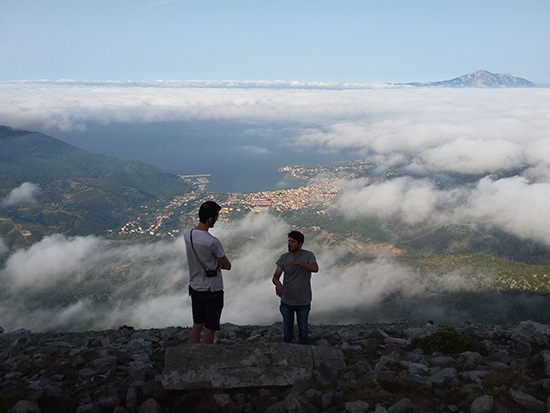 high mountain rising above the Gulf of Sapri, in Southern Italy. It was partly deforested by the middle of 1700s, with serious consequences as the hydrogeological instability which still causes floods in the surrounding areas. 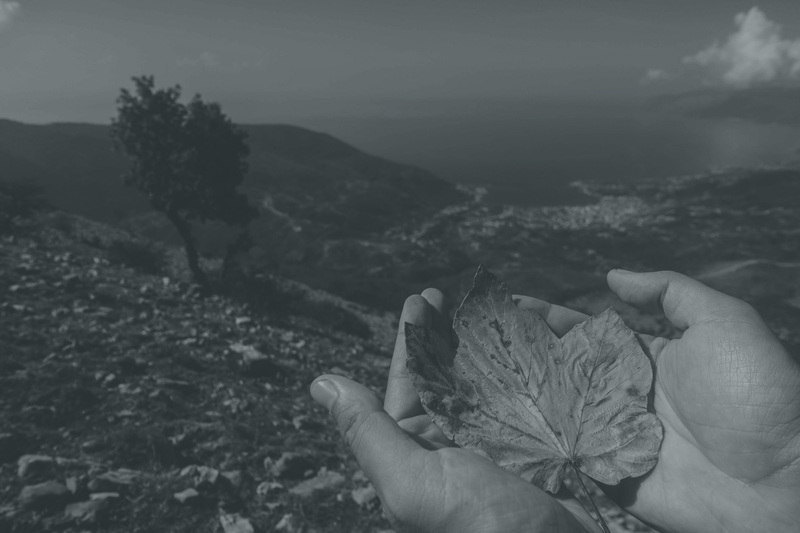 Breath will revive Mount Olivella, bringing balance and protecting the environment. Each new tree will be a new breath for the mountain. 2.500 HOLM OAKS: an evergreen tree native to the Mediterranean region, it is climate resilient. It will form the external structure of the artwork which will be clearly visible throughout the year. 2.500 MAPLES: a deciduous tree with dense and globular foliage. light green during the Spring, bright green in the Summer, red during the Autumn and bare in the Winter. 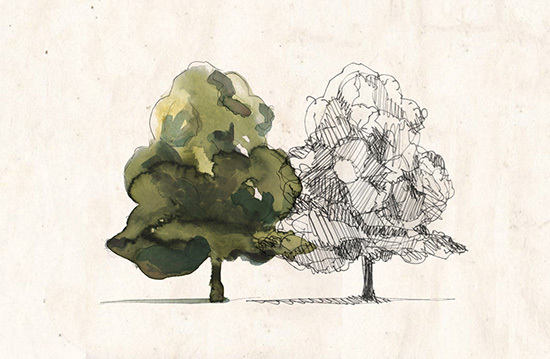 Breath is a huge organic drawing made of 5,000 new trees planted on Mount Olivella. It is the result of of two-year long feasibility studies which will cover a surface of 120,000 square meters, being visible from tens of kilometers away, from the sea and the surrounding towns. Created by the Spanish artist Escif, Breath is a battery which depicts the energy cycle. It follows the rhythms of time and Earth, always renewing and regenerating itself and never staying the same. Breath is absorbed by seasonal cycles and expresses them through the changing colors and the presence or absence of leaves. Breath is a unique project in scope and typology, conceived and curated by Antonio Oriente and Incipit. Incipit was created in Sapri (Salerno, Italy) with the aim to establish new nationwide networks and to host artists from all over the world. Incipit responds to our need to take action in the world through beauty and work, passion and culture. Art is a way to interact with people and places, the beginning of a path, an incipit which aims to scatter traces, letting them change and imbue themselves with new meanings along the way. 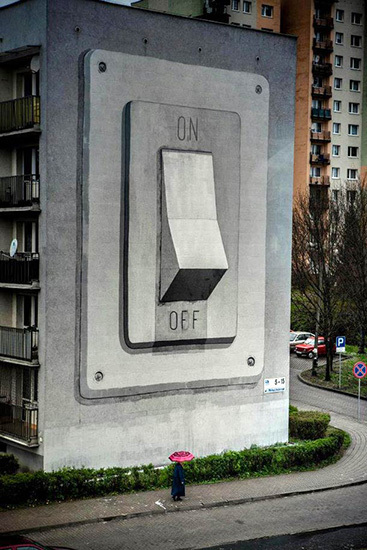 Escif is an artist from Valencia, Spain, where he started painting graffiti in 1996. Through murals, public interventions, video, installations and drawings, Escif experiments life as an open process of knowledge and knowledge as an open process to experiment life. Escif uses art as an excuse to approach different concepts: environmental issues, economical strategies, social movements, capitalism, politics, macropolitics and micropolitics, street life, food-related issues. Over the years, he has developed his own personal symbology, constantly exploring new languages. His minimalist works convey a clear and direct message, encouraging viewers to become aware of what is happening around them instead of enjoying them on a purely aesthetic level. 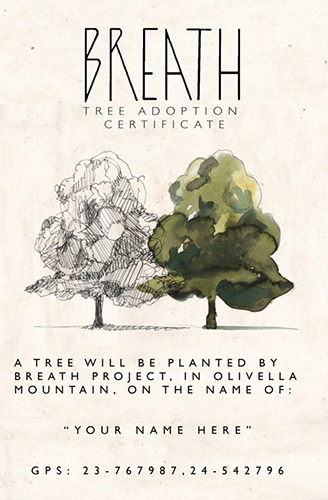 ​- ​ADOPT A TREE We will plant a tree in your name or in the name of the person you ask for. We will send you an adoption certificate with its exact GPS location.